Get what you need to succeed and shape your company’s future as a leader at the top level in your organisation. Get the tools to drive change, establish sustained competitive advantage and prepare for the future in the ever-evolving global landscape. Access best practice, thought leadership and cutting-edge business research to make your organisation more resilient and competitive for the future. Build awareness of the challenges facing the external business environment and their implications for your organisation. Develop a senior leadership team highly capable of leading an organisation in complex times, and across cultures. "The Senior Executive Programme shaped me as a leader. It gave me a different perspective on leadership." Senior executives from large organisations who are one or two levels from CEO. Heads of multiple business units within an organisation. C-suite executives of small and mid-sized organisations. Lead. Drive strategy. Be agile. Question what you think you know, and explore new ideas led by our world-class faculty. 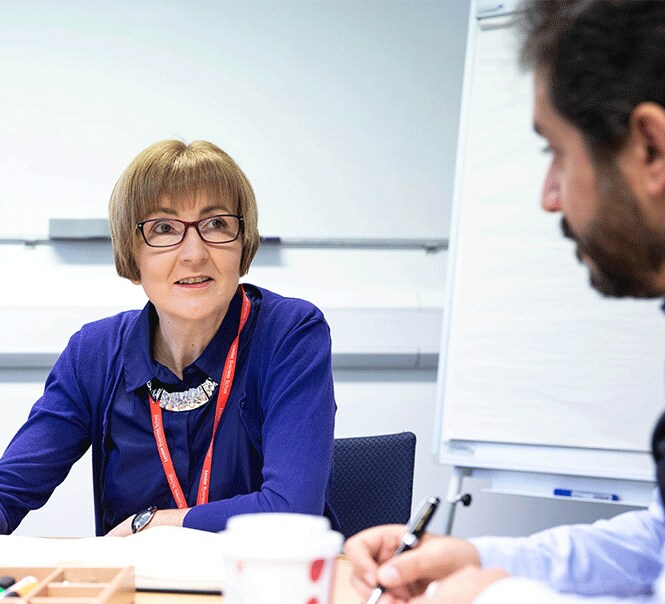 Shape your company’s future with this transformational programme. Analyse your individual leadership style with a 360 leadership survey and detailed Hogan Dark™ assessment. Lead real organisational transformation by clarifying who you are as a leader. Build high performance teams with a shared business vision and values. Gain the confidence to capitalise on PR opportunities, and deal with media crises. Understand what motivates your stakeholders and use that knowledge to maximise opportunity and value. Achieve sustainable success in today’s business climate by engineering your strategy to keep it in tune with evolving markets, global forces and future scenarios. Broaden your strategic thinking, capitalise on opportunities, and improve innovation to ensure your organisation’s competitive advantage and future resilience. Take a holistic approach to change that examines your organisation’s competitive environment, challenges management orthodoxies and influences behaviour. Be inspired, challenged and engage in debate. Leading academics and practitioners share insights grounded in research and business practice. Our 360 leadership survey and Hogan Dark™ assessment feed into one-to-one coaching to create a development plan tailored to you. Practice key lessons and test ideas in a supportive environment through experiential learning. Develop your personal presentation style by working closely with professional actors at a leading London theatre. Discuss real life business or management situations that present a dilemma or an area of uncertainty through international case studies. Choose an intensive four-week block or two sets of two weeks split by six to eight weeks back in the workplace for reflection. Join an elite and diverse group of senior executives in a dynamic business forum, where debate and challenge stimulate and inspire you. Our acclaimed faculty share their industry experience and global perspective on key issues leaving you with powerful knowledge and insight. Take advantage of London's global business and cultural opportunities to learn from innovative companies and notable practitioners. After the programme you become part of our Executive Education alumni network joining over 17,000 fellow leaders all over the world. SEP offers you a unique opportunity to learn from some of the finest business minds in the world. Their industry experience, thought leadership, academic calibre and global perspective on key issues leave you with invaluable knowledge and powerful insights. Professor Dan Cable teaches Alive at Work, the power of purpose and strengths-based performance. Arla Foods, Areva, Danone, Deutsche Bank, McDonald’s, Novant Health, PwC, Rabobank and Twinings. Professor Cable has authored two books: Alive at Work and Change to Strange. He was selected for the 2018 Thinkers50 Radar List and The Academy of Management has twice honoured him with “Best article” awards. Professor Tammy Erickson runs a board member simulation. A McKinsey award-winning author, Professor Erickson has been three-times named one of the 50 most influential global management thinkers by Thinkers50. An experienced senior executive, she has served on the Board of Directors of two Fortune 500 companies. Her academic work is based on extensive research on employee values and the changing nature of work. Teaching, evaluating and managing organisational performance and applied finance. Gary lectures on management innovation. General Electric, Time Warner, Nokia, Nestlé, Shell, Best Buy, Procter & Gamble, 3M and IBM. Fortune magazine calls Gary ‘the world’s leading expert on business strategy.’ Currently he is leading an initiative to create a platform for reinventing management. He is fellow of the World Economic Forum and the Strategic Management Society. Professor Ioannis Ioannou focuses on business and sustainability. He consults internationally on environmental, social and corporate governance strategies. He is a member of the UK Network Rail’s External Transparency Challenge Panel, the Prosperity Panel and the Advisory Board of Ethical Corporation. Preparing candidates for board membership of companies. Sir Andrew Likierman is an expert in performance measurement. Non-executive roles at the Bank of England, a technology incubator and health authority. Sir Andrew has chaired a group compiling corporate governance codes for UK central government and advised the UN on corporate governance. Sir Andrew started and sold a bookselling business, ran a textile plant in Germany and was an MD of the UK Treasury. He was President of the Chartered Institute of Management Accountants and Chair of a government study on professional liability. Professor Costas Markides teaches strategic innovation and creative thinking leading to breakthroughs. Unilever, Pirelli, Avon, Polygram, Mercury Asset Management, Nestlé, LVMH and Sara Lee. Holder of the Robert P Bauman Chair of Strategic Leadership, Non-Executive Director of Amathus (UK) and best-selling author of All the Right Moves: A Guide to Crafting Breakthrough Strategy and Fast Second: How Smart Companies Bypass Radical Innovation to Enter and Dominate New Markets with Paul Geroski. Professor Isabel Fernandez-Mateo teaches social networks and reciprocity. 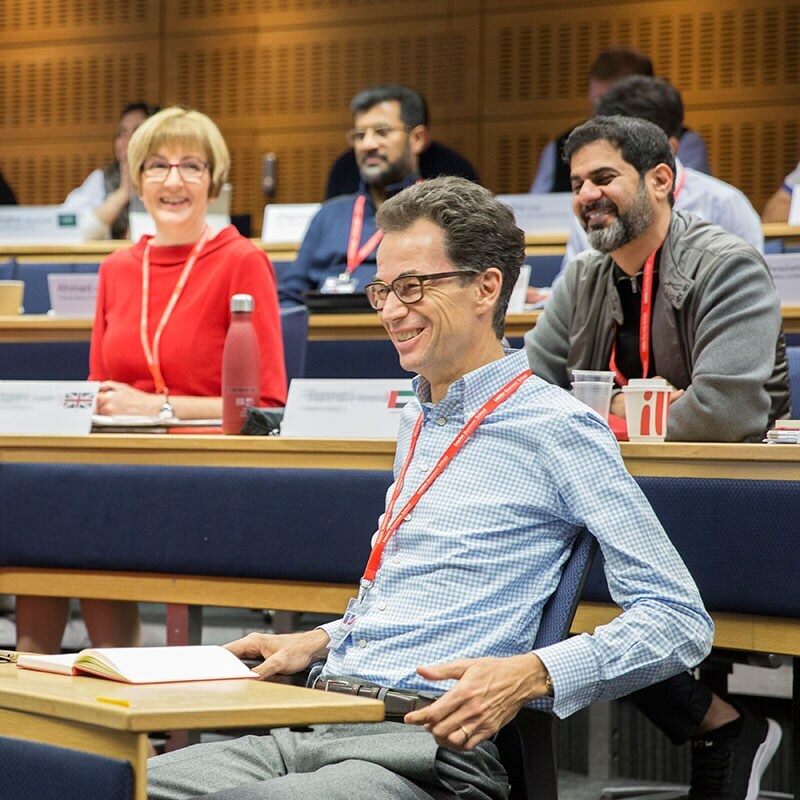 As well as teaching on the MBA and Executive MBA Strategic Management course, Professor Fernandez-Mateo delivers the popular 'Building your Career Strategy' elective. She is associate editor of Management Science. Professor Nigel Nicholson works with participants to identify and establish what they want their leadership legacy to be. Vodafone (India), Société Générale, Credit Suisse, Danone, Thompsons Solicitors, Kenya Airways, Access Bank, Clarks Shoes. Nigel has written more than 20 books, including The ‘I’ of Leadership: Strategies for Seeing, Being and Doing, a new take on what makes a versatile, integrated and effective leader. He directs company-specific executive development programmes, and acts as a consultant to organisations worldwide. Professor Randall Peterson teaches team and organisational leadership and interpersonal relationships. Professor Andrew Scott teaches macroeconomics in a global competitive environment. His expertise ranges from global capital markets to monetary and fiscal policy. Through executive education and consultancy, he has assisted firms across a variety of industries (financial services, investment banking and manufacturing) and offered guidance to both CEOs and government ministers. Professor Scott has been economic advisor to government and policy, including HM Treasury and the Bank of England; today he advises the UK’s Office of Budget Responsibility and the Prime Minister of Mauritius. An expert in his field, he co-authored the textbook, Macroeconomics: Understanding the Global Economy. Professor Henri Servaes offers participants new approaches to adding shareholder value, number analysis and governance. PwC, Deutsche Bank, Anglo American and Chase Manhattan. Professor Servaes is Chair of the Finance Faculty, Director of the Institute of Finance and Accounting and an award-winning author published in the world’s top finance journals. Professor Nader Tavassoli focus enables marketers and non-marketers to work together to execute the organisation’s organic growth and customer acquisition strategy. We recommend you apply at least three months before the programme starts to guarantee your place. The form will take approximately 30 minutes to complete. We’ll acknowledge receipt of your application by email within 48 hours, if it’s received during normal working hours (Mon-Fri – 9am-6pm GMT). We will review and respond to your application within two working days. We do this in order of receipt and acceptance is not automatic. The fee for programmes starting in 2019 is £34,500. We are proud to offer the Senior Executive Programme Women’s Scholarship in partnership with the 30% Club. Find out more and apply today.